The sun was just peeking over the horizon this past Sunday morning as I lined up with 2,000 other runners at the Fox Cities Half Marathon. Also at the start line were roughly 450 runners who were brave (or insane) enough to complete the full marathon distance. Anyone who’s been within earshot of me over the past couple of weeks likely heard me agonize over the fact that the weather for this race was going to be unseasonably warm and humid. The temperature at the start line was 69 F and climbing. I’d been guzzling Gatorade all morning and felt pretty decent for the first eight miles, but after that things went rapidly downhill. I started alternating walking and running around mile nine and ultimately finished in 2:08:36, a 9:49 minute/mile pace. Not a PR for me, but I’m grateful to have finished. Challenging weather aside, this was an awesome event that I’d highly recommend to other half marathon enthusiasts. The organizers’ care, concern and attention to detail. I was super impressed by the clear communication and proactive attitude of the race organizers, especially when it came to preparing participants and volunteers for the heat. The course was stocked with extra fluids, misting stations and even Popsicles – a nice treat! Extra medical personnel were stationed throughout the course as well. Throughout race week, runners received reminders about how to stay safe in the heat, and the organizers stressed that finishing the event safely was the top priority…yes, even if it meant slowing one’s pace and not achieving a PR. Logistically, everything went smoothly too: packet pick-up was a breeze; race morning shuttle buses were on time; course aid stations were well staffed. The course. 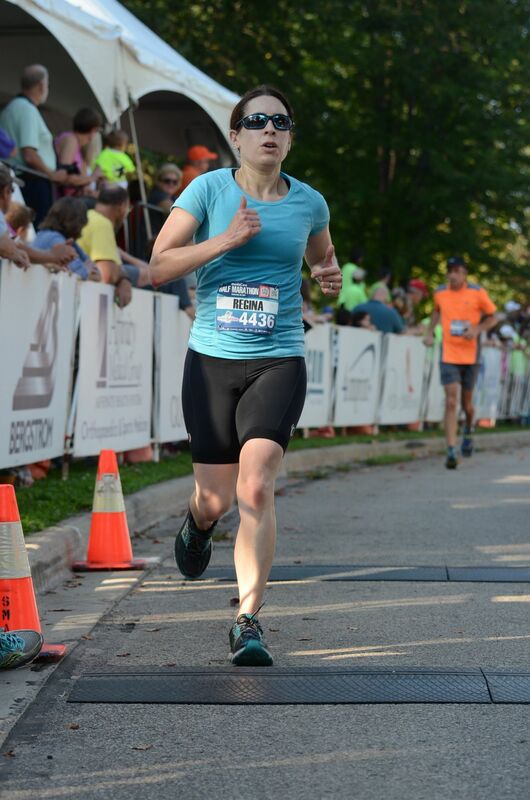 After my first (very hilly) half marathon, I was adamant that my next race would feature a flat course, and Fox Cities did not disappoint! My watch tracked a total elevation gain of 97 feet for the entire race, which is basically flat as a pancake. There were only two hills that I really remember, and both were very manageable. The course also featured paved trail running, bridges and scenic waterfront views. There wasn’t much shade throughout the route, but I’d love to try it again in cooler weather. 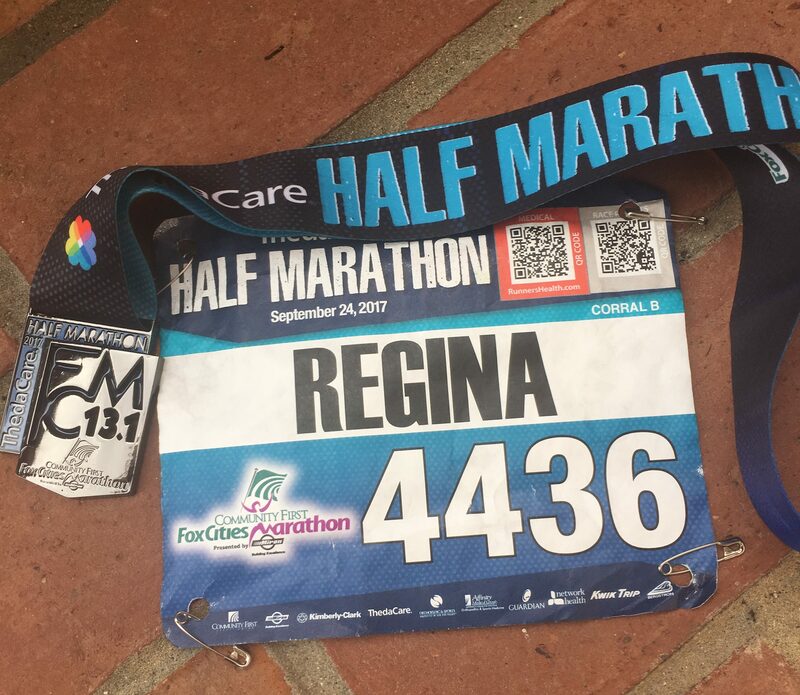 Will I run another half marathon? Maybe. I’d still love to finish one in under two hours, so that goal will always be at the back of my mind. But for now, I’m looking forward to scaling back my distance running and focusing on some fun 10K races later this fall. I’ve always been fond of the 10K distance – long enough to keep things interesting, but short enough to incorporate some speed. Do you have a favorite race or sports event? What did you like best about it? ← Is Summer Really Ending?